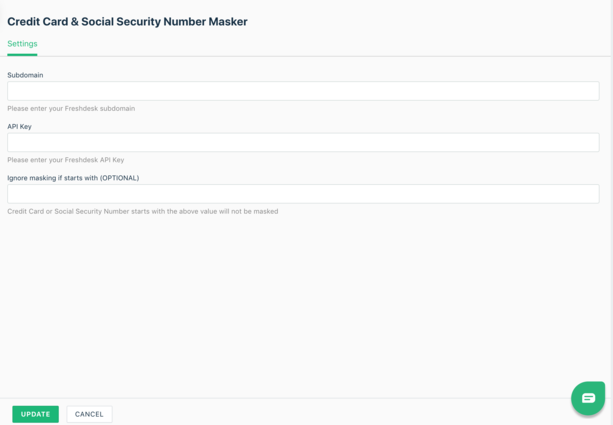 Hide sensitive data such as credit card numbers or US social security numbers in Freshdesk tickets. 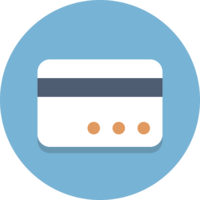 Protect sensitive customer data, such as credit card or US social security numbers, in your tickets. This app will obfuscate all but the last 4 digits. The other numbers will show as an "X". The data are protected in the Ticket Subject and Description. Disclaimer: This app will mask any data that resembles a credit card/social security number. 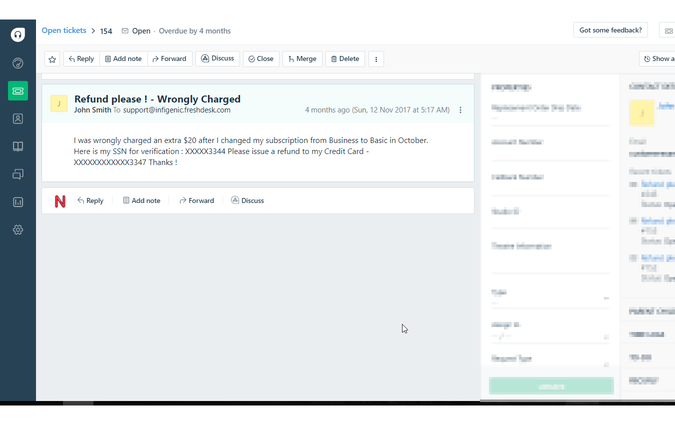 2) Click on your Profile Picture on the top right and select "Profile Settings"
7) Enter your Freshdesk subdomain into the subdomain field. If your freshdesk URL is "mycompany.freshdesk.com" then your subdomain is "mycompany"